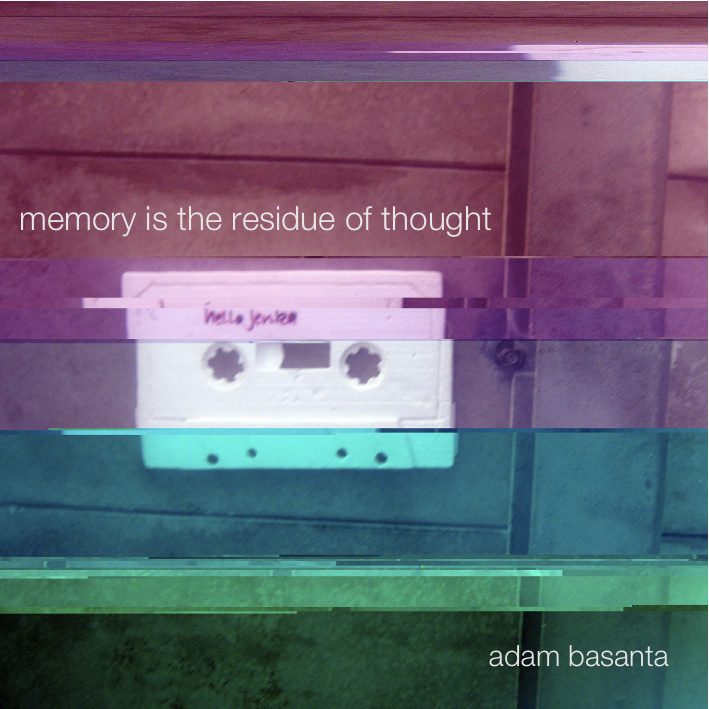 Memory is the residue of thought is the first album by sound artist Adam Basanta, comprised of works he’s composed over the last five years. It’s a mesmerizing series of pieces, one that feels like an EAI record without the sharp and constant nihilistic transgressions that characterize it, replacing the body with the mind under the terms of a fracture that is also ultimately concerned with perception. Such a fracture comes from a surrealistic sleep of reason, the moment when logic falters and a fundamental lack of wholeness emerges not from the depths of our unconscious but from the very surface of our eyes, ears, and touch. Like someone speaking in a language you perfectly know but contextually don’t expect, the disjointed electronics coursing throughout the album seem to break the long-earned trust between your mind, your listening, and the world itself; if memory is the residue of thought, thought is the residue of this collaboration, which when broken up causes all sorts of noisy, uncomfortable glitches in the ways we relate to everything. The album structure follows this idea closely, drawing a TV-static soundscape of volume-led noise that, if contemplated long enough, reveals an infinity of strange, irregular shapes growing from it. Four ~2 minute pieces hold everything else together (two ~20 minute ones and two other ~10 minute ones) in a quantum inversion that makes it seem like these loud little pieces contain the rest, folding time in a way that irrupts any and all attempts at externally establishing a certain ambient mood, a full understanding of the music as coherence and intent. It is always already residual, always already fading into the corner of the eye, the uncertainty of the almost-heard. “When you’re looking for something, all you can find is yourself”, tells the title of one of the longer tracks, and it makes the idea of life being out of rhythm with all it tries to make whole clearer, at least in the way the sudden changes in lone sounds, tape reproductions, and even sections that could be perceived as music do not follow a narrative or an evident logical path, patching into one another to build a remarkable nothing out of something. If all we have is subjectivity, if all we can do is self-reflect, it is all but a realization of an essential lack – the other of organized sound, perhaps not noise but something very similar to it, a voracious genesis that can only be articulated through the imposition of sense, common or otherwise. 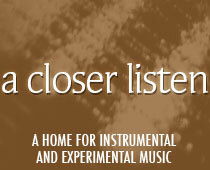 As a result of such ideas, there is a playful experimentation with the now traditional improv/composition divide, twisting every drone and every ‘found sound’ into forms that are, perhaps, deceptive in the manners in which they seem to embody the expression of an intuition that is not quite there, that is also seemingly reasonable in its fragmentation. The “Instant gris” pieces are about to explode when they suddenly zoom in and one of the longer tracks begins; the “Three Myths of Liberalism” melt together the sounds of money and violence, of an order and the resistance to it, but what is heard is a representation as much as just a sequence of noises; everything seems both in and out of place. Once you think you’ve settled what you’re hearing, once you think you know, the pieces retract and decompose, but once you think you’re moving with them (ever in the moment, ever in the present) they structure and map themselves out.